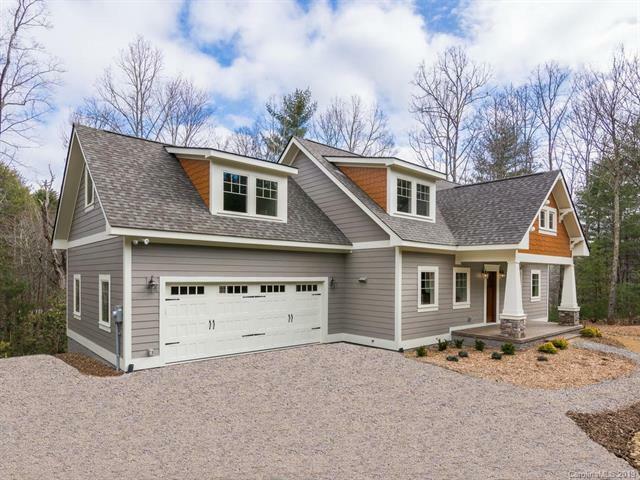 Dreamy new construction tucked away on an ideally located private lot overlooking a bold creak. Welcome home to your oasis in Cane Creek valley. This arts & crafts style custom home offers fine finishes from the custom stone front porch with beadply ceiling and gorgeous mahogany door in. The open plan great room features 9' ceilings with crown moulding, finished in place hardwoods, and tile surround gas fireplace. Step out onto your big private deck overlooking the rhododendrons and babbling creek. Prepare meals and entertain in your chef's kitchen boasting custom soft close cabinetry, granite counters with cool knife slot, glass subway tile backsplash, stainless appliances and a huge island with breakfast bar. Your master on main allows single level living and offers a sumptuous bath with giant walk in shower & closet with custom organizer. Additional bedrooms are generously sized and there's lots of storage everywhere with large walk in storage area on the second level. Hurry! Sold by Asheville Bulldog Realty.